MFI has a long history with Iran, especially with IRIMO (I.R. 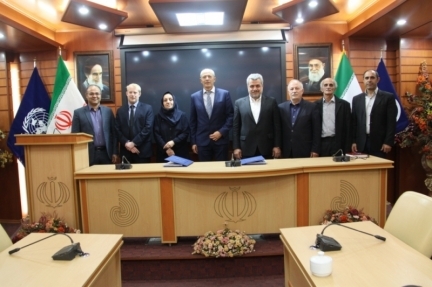 of Iran Meteorological Organization, under supervision of MRUD, Ministry of Roads and Urban Development). In Jan. 2016, this long-lasting relationship had resulted in a Memorandum of Understanding signed by the two parties in order to pave the way for an ambitious multi-phased modernization project named SIMACS, standing for Strengthening IRIMO Meteorological Alerts and Climate Services. The contract signed on Dec.18, 2017 (Azar 27, 1396) between Dr. Davood Parhizkar (President of IRIMO and Vice Minister of MRUD) and Mr. Patrick Bénichou (President of MFI), allows effective launch of an initial phase of the project, on MRUD budget. This first phase will strengthen forecasting and warning capacity on a national scale with the implementation of 60 forecasting stations and 35 early warning stations, in 35 different sites across the country (national center, disaster recovery center, provinces, specialized centers and training center). It will also improve air navigation safety through modernization of meteorological services to Aviation: 30 airports will be equipped with state-of-the-art pilot briefing systems. Ministry of Road and Urban Development strongly supports the wider SIMACS initiative, which is expected to bring IRIMO to the highest standards in the next three years. Timely multi-hazard warnings and effective socio-economic benefits through tailored services to weather and climate sensitive sectors will be amongst the main outcomes of the project. Météo-France will play a key role in transferring knowledge and experience to IRIMO. To ensure the success of the SIMACS project, MFI will resort to its proven turnkey methodology including flexible design, overall integration, transfer of knowledge and knowhow, in the frame of a close and sustainable partnership with IRIMO. 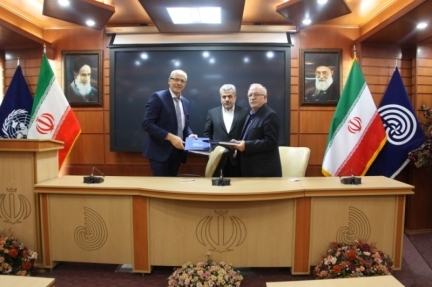 Signed deal on SIMACS Project also contributes to effective implementation of the wider Plan of Actions signed in Tehran between France and I.R. of Iran by Ms Royal, French Minister of Environment, and Ms Ebtekar, Vice President of the I.R. of Iran and Head of DoE.